Sun., Sept. 3, 2017, 1:07 p.m.
WASHINGTON – The Justice Department has no evidence to support President Donald Trump’s statement in March that phones in Trump Tower were wiretapped on the order of his predecessor, Barack Obama, before last year’s election, according to a court filing. 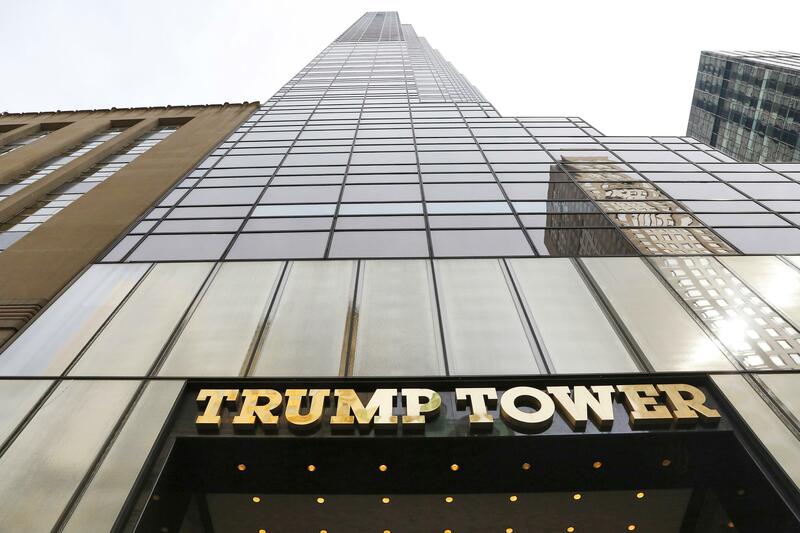 The assertion came in a motion filed in a Freedom of Information request from a government transparency watchdog, American Oversight, which sought information about any surveillance involving Trump, his tower in New York City, or his presidential campaign from the FBI and the Justice Department’s national security division. “Both FBI and NSD confirm that they have no records related to wiretaps as described by the March 4, 2017 tweets,” the Justice Department filing said. Trump posted the claim on Twitter. It appeared to come from Breitbart, the media outlet now run by Steve Bannon, the former White House strategist, on a weekend he spent at his Mar-a-Lago resort in Palm Beach, Fla. The claims were posted issued two days after Attorney General Jeff Sessions said he would recuse himself from any investigations into possible ties between the Trump campaign and the Russian government. The Justice Department Friday filed a motion to dismiss the case brought by American Oversight, in which it also said that the agencies “do not confirm or deny the existence” of any other records covered under the group’s request. Disclosure of such records “would cause harm to national security,” the department said. Some Republicans criticized Trump’s claims at the time, calling on him to retract the accusation in the absence of any supporting evidence. James Comey, who then was FBI director, told a congressional committee in March that the bureau was investigating potential ties between Trump’s associates and Russia during the 2016 campaign but there were no signs that the Obama administration was spying on Trump Tower. The White House at the time defended the allegations, saying the phrasing “wires tapped” could signify a number of different surveillance techniques. Published: Sept. 3, 2017, 1:07 p.m.